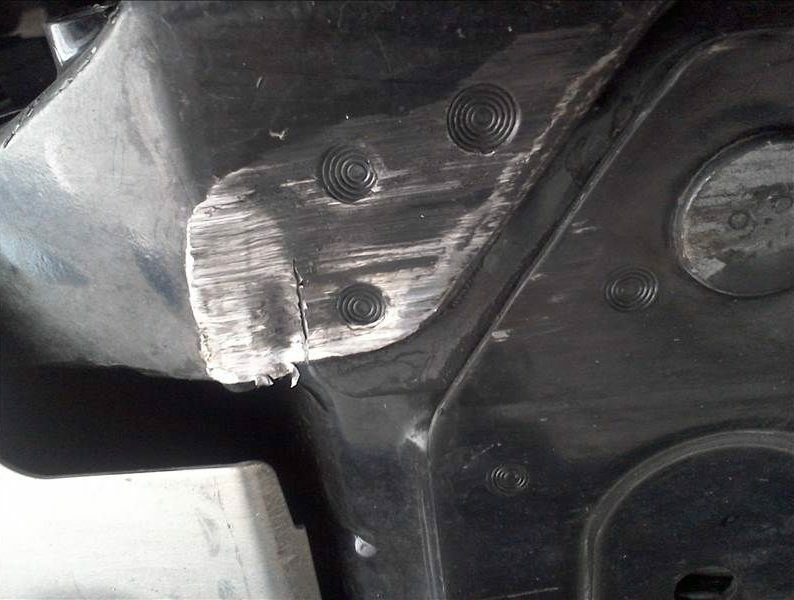 A 1-inch crack to the transmission tunnel of an otherwise beautiful 2017 Corvette Grand Sport caused the unlucky vehicle to be totaled — and make national news with a Wednesday Jalopnik report. But as excessive as this might seem to someone outside collision repair — and perhaps even a few of you within it — it appears to have been the right and responsible call. I had the misfortune of being on an extremely busy interstate about a month ago when a vehicle in front of me went over a large rock or chuck of something VERY hard. This interstate is eight lanes wide where I was at and vehicles were all around me doing 70+/- mph, so I had no where to go and I couldn’t stop without causing accidents for others. I tried to straddle it, but it hit a number of places under the car, but luckily it missed anything with fluids. 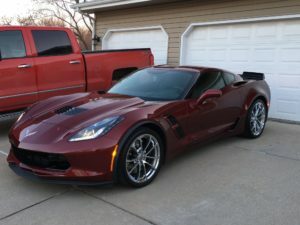 The sub-10,000-mile Grand Sport was then brought in for a service visit to Ankeny, Iowa-based Karl Chevrolet, which body shop manager Larry Gilliam said is one of the country’s largest Chevy and Corvette dealerships. While removing the lower floor reinforcement during his inspection, Karl Chevrolet estimator Jason Greene noticed the rear part of the cast aluminum transmission tunnel was cracked. He inquired about the price and parts number of the component — which were nonexistent. 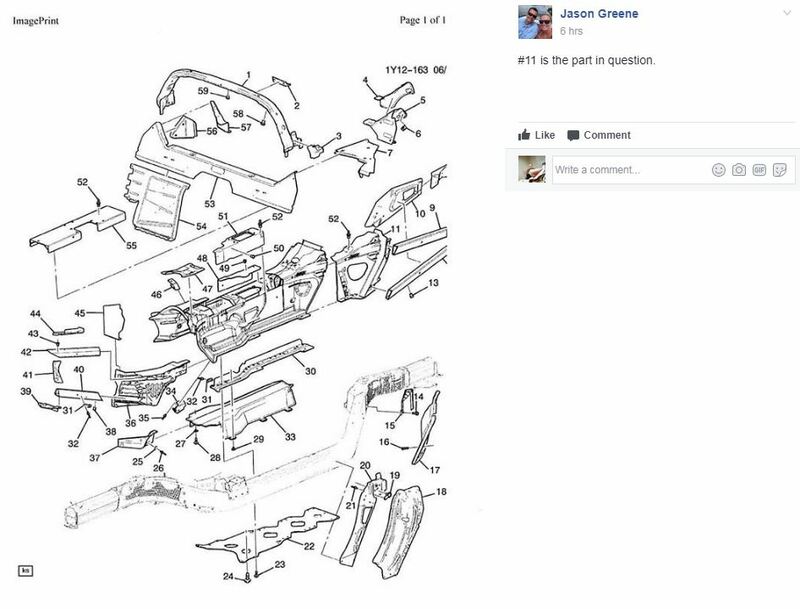 Greene said he learned the transmission tunnel itself wasn’t for sale, as a GM engineer said “replacing the part would compromise the structure.” GM also calls the cast aluminum part (Part No. 11 in the RepairLink diagram posted by Greene below) unrepairable, according to Greene — i.e., no welding. The discovery happened in August, shortly after the announcement of the lawsuit against John Eagle Collision Center in Texas, which “definitely brings the OEM procedures top of mind,” Greene said. According to the owner’s post on Corvette Forum, the carrier researched it for a while independently and inquired about the idea of welding the tunnel, but ultimately agreed the car was a total loss. The fact that this is the largest of the 3 (apparent) braces running across the short axis of the car to stiffen the frame rails tells me it has the most load on it (yes real engineering-ish). I’m having a hard time orienting the pictures with each other but regardless: corners are always the highest point of stress concentrations in any structure, and it is clearly at a corner in the frame assembly. On top of THAT, whatever those rivet looking things are attaching the two components will induce MORE localized stresses. And if that’s not enough, the fact that there’s a crack at all will induce it to spread (like that tiny chip in your windshield). So of all areas of the car, it’s certainly reasonable to conclude its in the bottom 1% of places you’d want an inch long crack. As for fixing it, there is probably a procedure to weld whatever alloy of aluminum that is back to 100% capacity, but if it’s anything than an off the shelf alloy only Chevy is gonna know that process, and I’m pretty doubtful they’d share it. If that’s not enough, even for a crack of that width the only way to ensure its 100% filled is get behind the area being welded, tack a backing plate on it (did I mention tacking can embrittle nearby aluminum? ), grind it out, then methodically fill it. This isn’t something you will have any guarantee of success doing from one side. And as for “what’s the worst that happens”? I’m guessing based on the component layout that those areas of the frame are largely to divert energy from the front into the rear and vice versa – which might not sound important, until you’re in an accident, and the drivers side of the cabin collapses because the brace failed so the frame rails buckled and the trunk of the car hit the dashboard. The insurer was great to work with after the totaling decision had been made, the owner told the forum. “From there (the decision to total the car), everything went great on finalizing the disposal and payment for the car,” the owner wrote. “They gave me what I thought was a very fair price for the car, plus tax, registration, etc. They arranged to have it towed from the dealers the next morning and that afternoon I had my papers to sign and a check deposited. The totaling decision shows a shop, insurer and customer adhering to OEM repair procedures, even if the outcome might have been unpalatable to potentially all three of them. That’s something for both industries and their mutual customers to remember when similar circumstances present on far less valuable vehicles. The owner has since bought a 2018 Corvette Grand Sport.